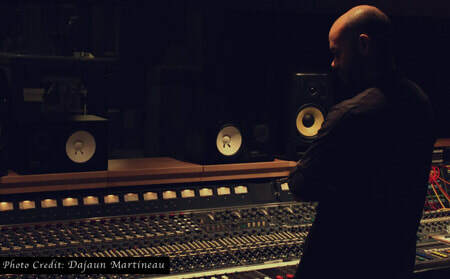 Mike Langford is a Toronto based record producer and multi-instrumentalist who focuses on artist development and modern recording solutions. ​Starting out as the right hand to several established producers and engineers, Mike soon became a secret weapon for independent bands and artists seeking that radio polish. 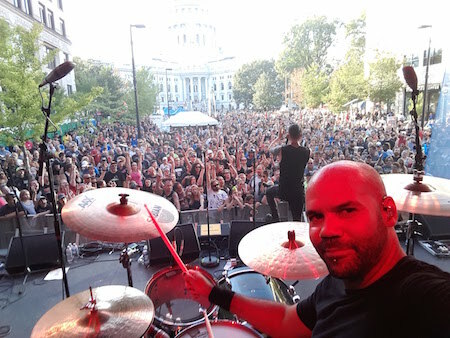 Over the years, he's had the chance to work with bands and artists such as: Evans Blue, Scarlet White, Parabelle, Age Of Days, Charlie Hope, Art Of Dying, The Sole Pursuit, Moist, and Luke Michielsen. ​Mike is not only an accomplished studio musician, but also familiar with the live aspect having spent several years playing drums with established Canadian west coast rock band Age Of Days, and more recently touring extensively with his new band, Deadset Society. Los Cabos Drumsticks (5B Hickory). RTOM Moongels, and Sennheiser mics. 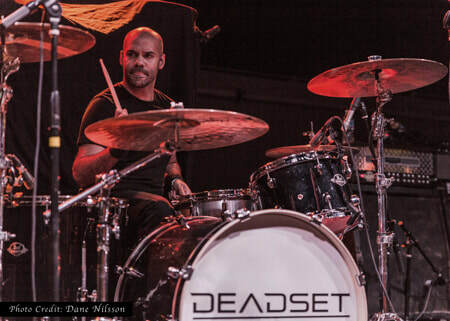 ​Having a varied skill set, Mike was asked to produced Deadset Society's debut album [Destroy + Rebuild] which was released early 2017, and includes the singles 'Like A Nightmare’ and ‘Automatic’, both of which reached Top 40 on US and Canada MediaBase Active Rock Charts, Billboard, and #3 on SiriusXM Octane Big Uns Countdown. Email me about 5+ song package rates!! Email with project details for a Quote! Popular Topics: recording, pre-production, brand overview, digital marketing, upcoming release, tour logistics, etc. Songs, Stories, And Friends: Let's Go Play!